Are you looking for a tranquility and a unique place to experience the best of Finnish nature? We are honored to invite you to Råmossa Lodge. You and your travel companions can enjoy exclusive services and privacy, since we attend to only one group of customers at a time. Råmossa has its own lake and beautiful hilly forests to explore. The day is perfect after bathing at wood-heated sauna and having a tasty meal, served in our handmade Loghouse or outdoors in the magical nature. Råmossa Lodge is located in Porvoo, one hour east from Helsinki, the capital of Finland. Price: 290€/person, minimum charge 1160€/reservation (incl. VAT). Group size 1-14 persons, we are open only for private visits. 6 hrs of relaxation and private use of Råmossa Lodge nature and high-quality premises. Hosting and guiding services. Meals: lunch or dinner made of seasons ingredients such as wild berries, mushrooms, fish/game, vegetables, snacks, soft-drinks, coffee and tea. 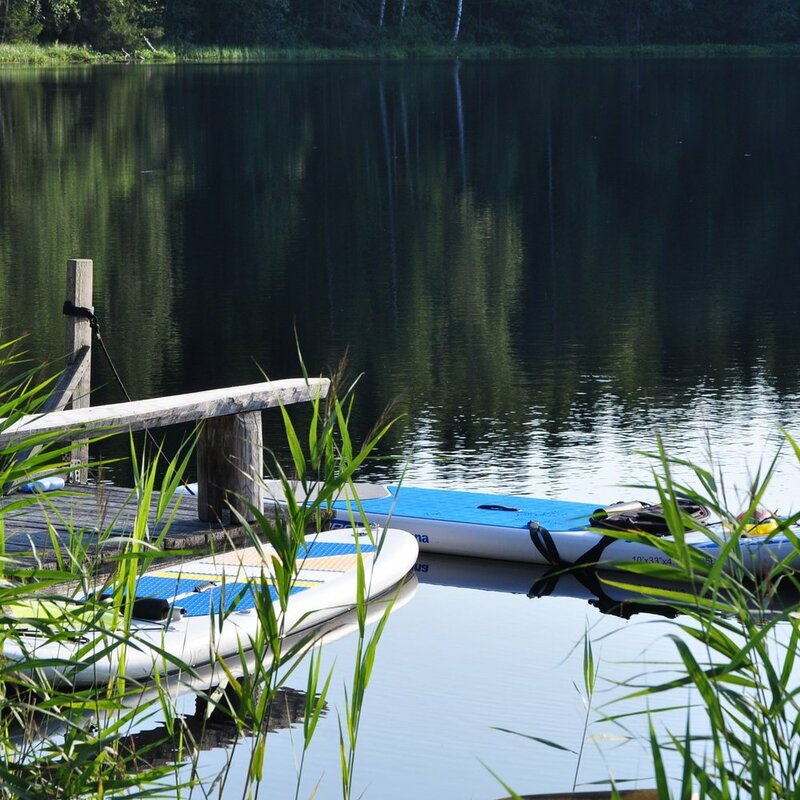 Activities (you can choose or have it all): guided hiking, berry and mushroom picking, enjoying the outdoor fireplaces, bathing in logwood sauna, swimming, SUP-boarding, fishing and rowing a boat on our own freshwater lake. Activities vary according to season. Required clothing: Outdoor clothing and shoes according to the weather and season. Towels offered by the house. Ask for guided tours in Old Town of Porvoo or Ilola Village. Outdoor hottub extra cost 350€/group. outi.pekkinen(at)ramossa.fi or +358 40 568 8012. Råmossa Lodge has the liability insurance for their operations. Each participant is responsible for their own accident insurance. The weather conditions affect the activity program, but we will make it a day to remember whatever the weather!